The cgs amilcar was nicknamed the poor mans bugatti in its native france and was among the most successful small sports cars of its day. The amilcar marque took its name from founders emil aker and joseph lamy and was intended to fit into the low-tax cyclecar bracket, which imposed a maximum weight of 770 lbs. Million-franc budget but when the amilcar entered the low-priced sports-car market, inspired by the sporting ambitions of the designer andre morel (he won the 1922 bol dor light-car race in amilcar), weight considerations were abandoned in the search for performance. The cgs of 1924 scaled 992 lbs. Despite a lightweight body. 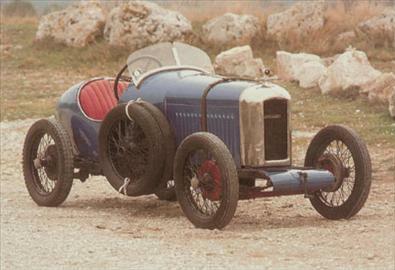 Amilcar promoted its small sports cars with a million-franc racing budget. piercing exhaust note the cgs amilcar certainly looked the part, with its doorless, pointed-tail bodywork and racing radiator, but the illusion was spoiled when the hood was lifted, revealing the tiny flathead engine. Still, its performance was startlingly quick and its exhaust note piercingly sporting. for a generation of young enthusiasts, the cgs amilcar represented their entry into motor sports.